Are you searching for critical analysis of maslow's theory, criticisms of abraham maslow's hierarchy of needs? and maslow need hierarchy theory merits and demerits. 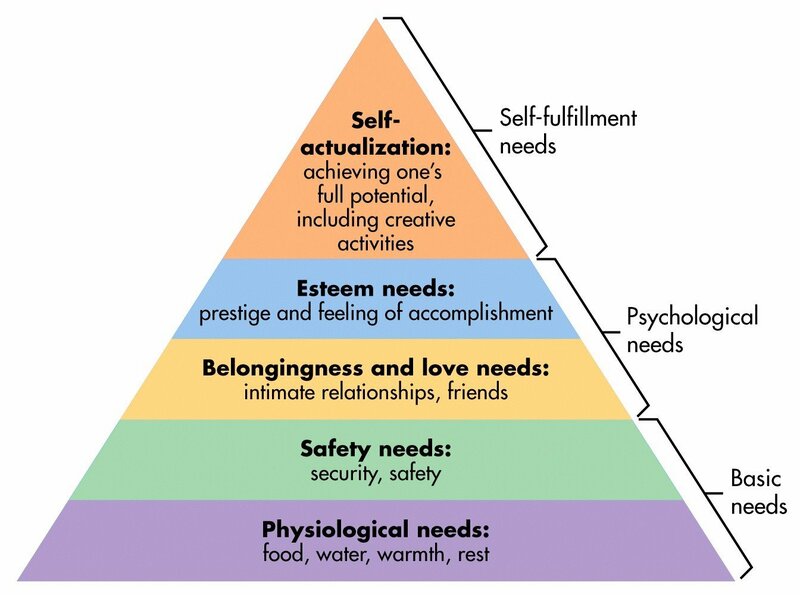 Here is what maslow missed and what is one of the criticisms of abraham maslow's hierarchy of needs and why is maslow's theory criticized. Find out all the flaws in maslow's hierarchy of needs. 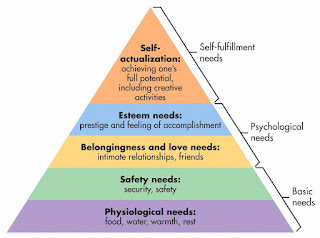 Abraham Maslow (1971) advocates that a person’s motivation to meeting their basic needs is important to their development, because only when the requirements of lower needs are met then the higher needs can transpire. Organizes groups of human needs into levels in a hierarchical structure, forming a pyramid. Needs of all people is not uniform. Substantial satisfaction of one need level doesn't necessarily lead to the next higher need level. Humanistic Psychology emerged as the third force at the time (1960s-70s) when psychoanalysis and behaviorism were pre-dominant. Their basic assumption was that humans have great innate potential and are constantly striving to become the best version of selves. People when provided with right environment, will actualize in the absence of interference such as stress, anxiety and negative life experiences. Obviously In real life these stressors cannot be avoided and thus society is considered as the most significant barriers to actualization, which leads people astray by providing conditional positive regard. 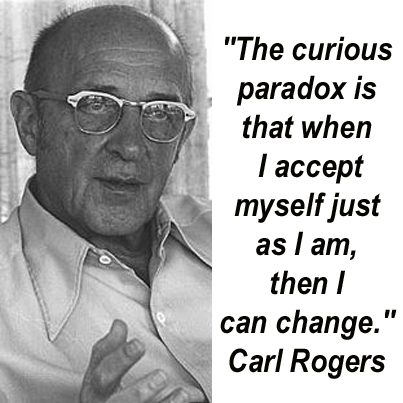 Carl Rogers (1902-1987) focused on ‘who’ you are and not ‘what’ you are – ‘the interpretation of experience’ is more important that the experience in itself’. This gave rise to the concept of phenomenal field, i.e. the person’s subjective experience of self and environment and his perception of reality and organismic valuing process. According to him, ‘man lives essentially in his own subjective and personal world and even his most objective functioning are the result of subjective purpose and choices.’ It is this emphasis on the subjective, perceptual view of the client that led to the term ‘client centered’. Rogers was most concerned with the conditions for change and growth. It is believed that as a child’s experiences with the world unfold they also develop their self-concept. If the parents too restrictive and conditional, child develops conditions of worth. Maladjustment occurs if there is in-congruence between one’s self concept and organismic experience, i.e. person’s self-image and his/her inner experience. If our self-concept includes too many conditions of worth, they will lack positive regard. Then they can no longer live as an integrated whole person. If they were to perceive accurately what was being ‘felt’ their self-concept would be threatened, causing great anxiety. The concept of self and conditions of worth is unique to this therapy, which has highly molded their course of work. Being associated with theorists such as Fritz Perls and Sidney Jourard, this therapy provides the client with a non-judgmental listening and accepting environment so they can grow up to their full potential. Client centered therapy emphasizes on the therapists warmth, empathy, acceptance and dignity of the client. Unlike other therapies they do not agree with the assumptions that "the counselor knows best" and that the clients are incompetent to resolve their own problems, thus following a non-directive approach, where the client is in-charge. It is a Genuine but non-disclosing relationship.